If you are a person who experiences frequent joint pain, backaches or headaches, and have not yet considered chiropractic care, then you might be missing out on an effective and natural treatment alternative. Countless people around the world have experienced the exceptional benefits of chiropractic care. Chiropractic care experts like Dr. Aaron Richardet have a holistic, non-invasive treatment approach that has been proven to treat a number of conditions. Seeking a chiropractor is not just about getting your back checked, it is a lot more than that. When you find the right chiropractor, you experience many benefits of chiropractic care that range from reducing pain to improving your mood to saving your money. There were some studies conducted that proved that chiropractic care can reduce pain more effectively than medications. A study in 2012 found that spinal manipulation was more effective than medication to treat acute pain. Another study carried out in 2013 found that the patients suffering from neck pain showed faster improvement with chiropractic treatments and they also paid less for their treatment when compared to other options. 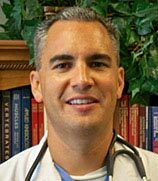 Experts chiropractors like Dr. Aaron Richardet treat the causes of the pain and not the symptoms. If you have a small sprain in your neck, taking medication will treat the symptoms- but seeing a chiropractor will help you treat the root cause of the pain. Chiropractors believe that spine health is everything because all the nerves run up the spine and radiate through the body. This is why chiropractors are able to treat the cause of the pain, rather than the symptoms. Patients are well acquainted with pain medications, both prescription and over-the-counter, but chiropractic adjustments can offer completely drug-free pain relief. It is the best option for any individual looking to reduce the use of medications. Chiropractic doctors take this drug-free approach since they treat the whole body as a holistic system. They focus more on maintaining a healthy body and less on the symptoms. It is the foundation of their approach to patient care. There are a number of techniques that chiropractors use to treat their patients, but none of them are as invasive as a surgery. People who battle with chronic pain often have to utilize a variety of different therapies, such as nerve blocks, oral medications, and much more. As chiropractic care is drug-free, it can be used in conjunction with almost any other therapy. It can be combined with almost any other form of treatment, although you need to ensure that your doctor is aware of all the other treatments you are seeking. Experts like Dr. Aaron Richardet have a variety of tools and techniques at their disposal. If you have mobility issues or a painful body ache, let your chiropractor know. He or she will find a way to work around the problem. This can be done by tables that are modified for specific body shapes or sizes, or tools that can soften the chiropractic adjustments. There is a lot of research that supports the effectiveness of chiropractic care for back and neck pain. Although chiropractic care can be used to treat other conditions, this is without a doubt the biggest advantage since millions of people suffer from back and neck pain. Many patients suffer from hard-to-treat and invisible chronic conditions like fibromyalgia or chronic fatigue syndrome. Chiropractic adjustments can help ease the symptoms that are associated with these symptoms. A recent study noted that cancer patients can benefit from chiropractic care. Cancer and treatments for cancer can cause stress on the musculoskeletal system. Some cancer patients experience peripheral neuropathy, aches and pains in the neck, back, muscle tension, headaches, or difficulty walking. Chiropractic care can help reduce stress and increase mobility, flexibility, strength, and function, as well as help improve well-being. One of the greatest benefits of chiropractic care is how it can help in improving joint health by reducing dysfunction. Joint dysfunctions in the spinal cord may eventually lead to problems in other parts of the body as well. These symptoms are your body’s way to indicate that something is wrong. People need to understand that absence of pain is not an indication of the health. By the time the symptoms appear, the problem may have been present for months or even years. Although, the good news is that you can prevent these issues with routine chiropractic care. Chiropractic care is not just for the back and neck pain anymore. Many conditions can be treated using chiropractic care. Some of the major health issues like fertility issues, headaches or migraines, ear infection, menstrual disorders and gastrointestinal syndromes can be treated by chiropractors. Chiropractors generally work alongside a general practitioner to design a treatment plan that works for each patient and his or her symptoms. One of the major benefits of chiropractic care is how it can help patients with a work or auto accident injury. If you are suffering from an injury from a work accident or something like whiplash from an auto accident, experts like Dr. Aaron Richardet can help you to find adequate relief. Chiropractic care promises many benefits for pregnant women. It can help pregnant women avoid low back pain, sciatica pain, it can help them sleep better. It is noted that pregnant women who receive chiropractic care, experience 25% less time in labor. As mentioned above, seeking the services of an expert chiropractor like Dr. Aaron Richardet can provide you with benefits for your body, mind, and much more. Choose chiropractic care and enjoy a pain-free and healthy life ahead!